Home > Articles > Check Your Number! 3,000? 5,000? 10,000? How many miles can your vehicle travel between oil changes? If you automatically defer to the old 3,000 mile standard, you may be wasting time and money…as well as valuable natural resources. Most cars and trucks can now go at least 5,000 miles between oil changes. 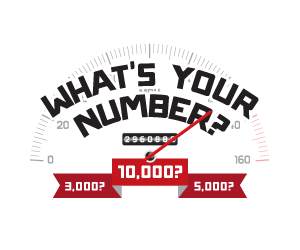 Check your vehicle’s manufacturer’s recommendations by looking in your owner’s manual or visiting www.CheckYourNumber.org. The website has information on most vehicles made between 2000 and 2012. Just type in your vehicle’s year, make, and model, and you’ll instantly get the recommended oil change number. It’s that easy! And if you change your own oil, be sure to recycle it at one of the many free collection centers around town. Bring your oil filter too! Find locations on our Motor Oil and Oil Filter pages.